Currently I’m loving my eggs scrambled with (cooked) kale and mozzarella. I also love a good omelet. I don’t think so. Of course, if I have and then actually forgotten I’ll be pretty mortified. So if you know about an encounter I’ve already had then I’d prefer you just keep that to yourself. I’ve grown to truly love my kitchen time. Breakfast with the birds in the morning, batch cooking on Saturday – it’s been a very peaceful space this week. 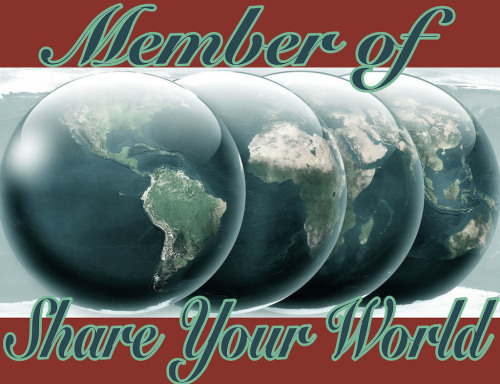 Cee’s Share Your World pops in on Mondays. Previous Previous post: what is this kitchen sorcery? That sounds good…eggs scrambled with cooked kale and mozarella. I love it. I even froze some so I could have it ready for future power breakfasts! Eggs with kale and mozzarella. Sounds delicious! Breakfast with the birds sounds wonderful. Thanks for sharing.